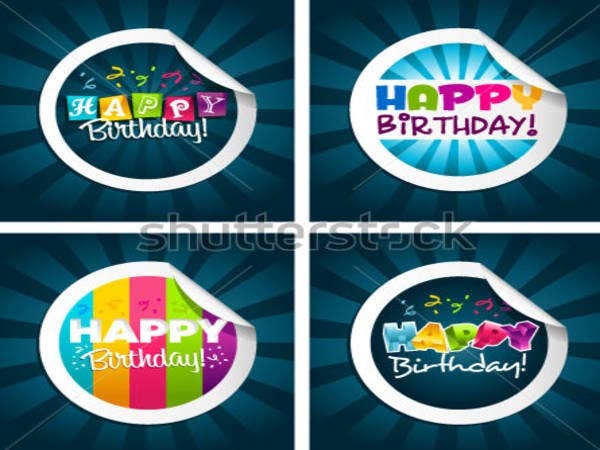 Have a birthday party coming up? 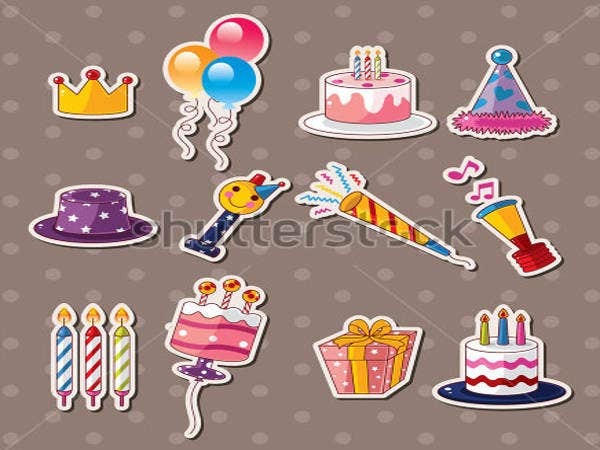 Whether you are planning one for your child, or if you have been invited to one or if you are the birthday celebrant, you can’t let the occasion go without some fantastic birthday stickers to liven things up even more. 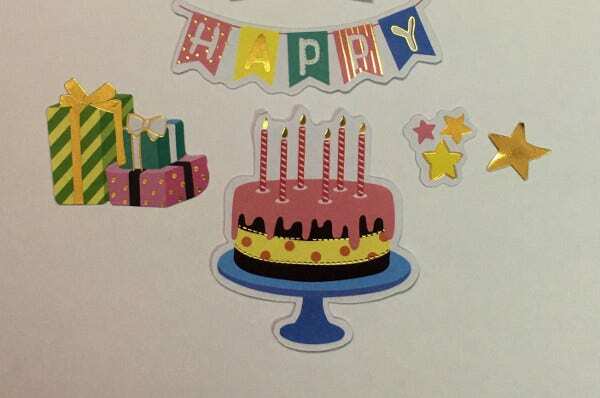 A great way to make sure the special occasion sticks in the minds of your family and friends is to actually use stickers. 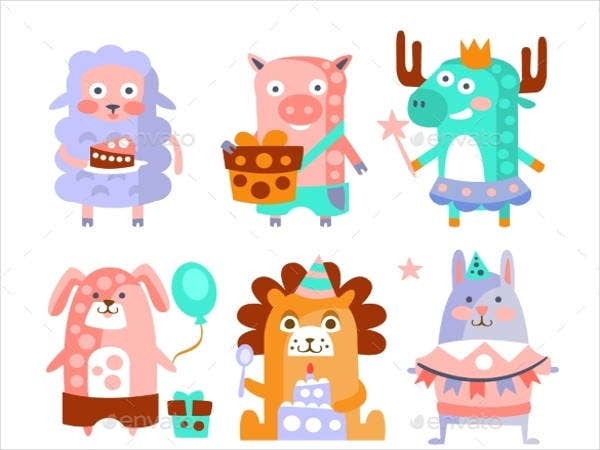 There are a lot of amazing birthday vector stickers for sale in custom boutiques around the world, and many of them are online. Here is a collection of some of the best and most useful ones we can find. They can be used for anything, from decoration to gifts and name tags and more. Just point and click on your favorite options to find out how you can get them as a memorable part of your party! Some of these stickers will be available as vector images that you can download and print on sticker paper. Others will be up for sale, so you can have the stickers sent to you directly. 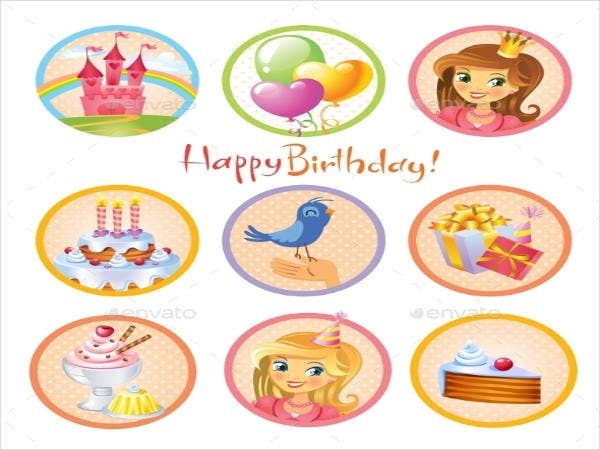 Cute Birthday Stickers,which you can get for $8 USD (end-product price). 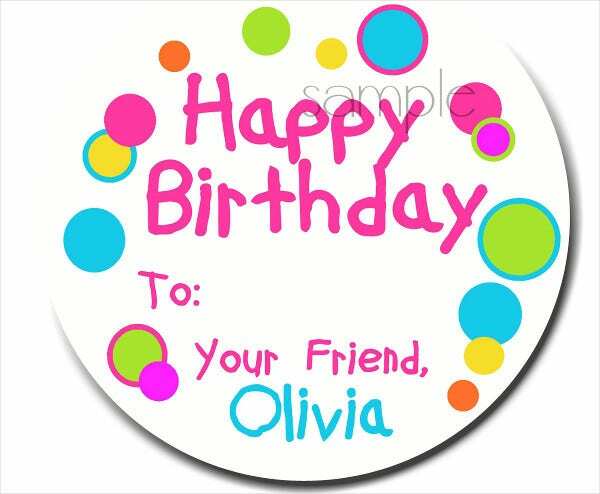 Personalized Birthday Stickers can be especially heartwarming and can take the place of a label on the wrapper of a birthday gift. For less than $7 USD, you can get a set of a dozen of these stickers. 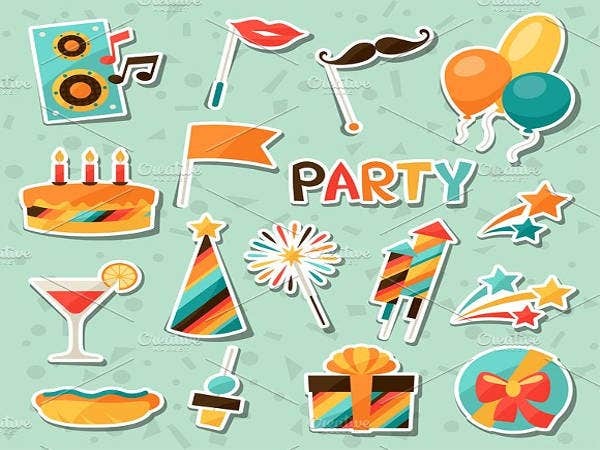 The Birthday Party Stickers are actually festive icons you can buy at the standard license price of only $4 USD. Scale these to whatever size you want and print them on sticker paper and cut around the outlines. Honestly good for more than just birthdays – think New Year’s or victory parties. 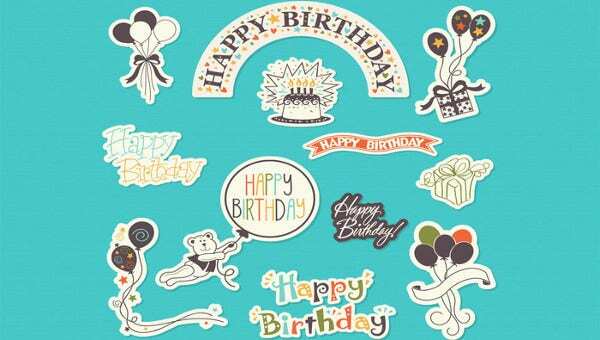 The Free Ship Birthday Sticker is a wonderfully sweet, vintage design for paper stickers shipping from Hong Kong at only around $5 USD. These are a popular option that is running out quickly, so don’t miss out! 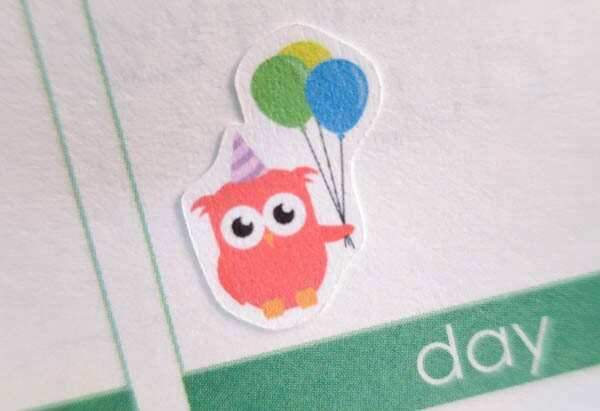 Use the super-useful Birthday Planner Stickers as countdown tools on your calendar or planner, or for birthday party game ideas (sticker tag is a fun favorite for children’s parties). Also super affordable at less than $5 for 77 half-inch stickers. You don’t have to stop with just one theme of stickers either. There is enough variety in these fun designs to please kids of all ages and genders. Children love stickers and, as you well know, will use them up pretty quickly. 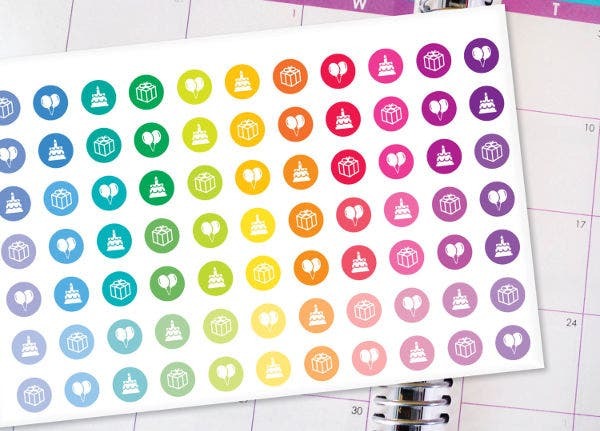 Make sure you also have enough sticker sheets on hand to keep them happy. Please note that we are not responsible for any price changes or product modifications that happen on the affiliate sites’ download pages. Quite a few of them are selling out quickly, so act fast while they are in stock! All product details and price listings are available on the host download pages. Just click on the download buttons to go straight to the purchase page. And if you see something you like, don’t stop here. 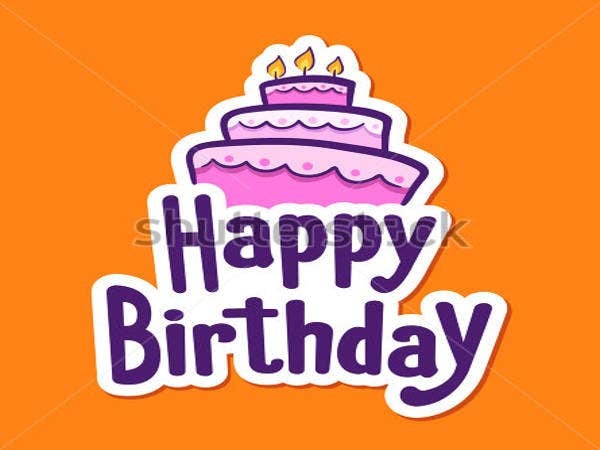 We also stock some nice wall Decor Stickers for some designs that should last longer than a birthday party.